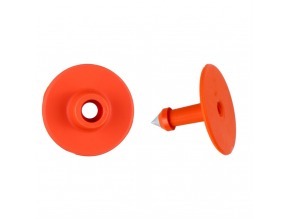 This Button Combo can be used on cows, calves, sheep, goats or hogs. It can be applied using the Ultra Tagger Compact or the Ultra Tagger Plus applicator. This item consists of 25 Male Buttons and 25 Female Rounds.